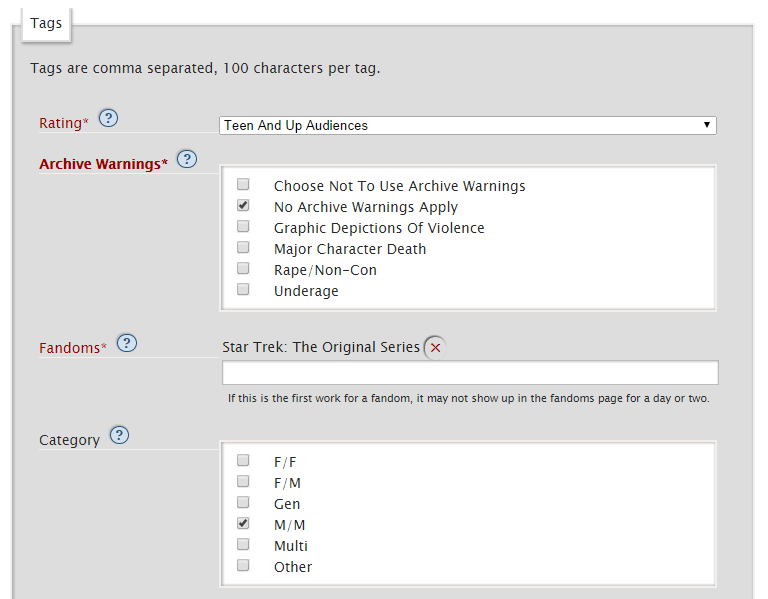 Click on “Log In” on the Archive of Our Own (AO3) homepage. 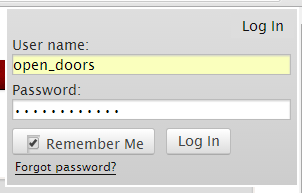 Enter the username and password for your account. (For convenience, you can also check the box next to Remember Me so that you don’t have to log in next time.) Then use the “Log In” button. Hover over the “Post” link at the top of the page, and choose “Import New Work”. Copy the URLs for your works from the original archive, and paste them into the “URLs” field, with only one URL per line. Fandom(s): If all your works are from a single fandom, use the fandom name here. If your works are from multiple fandoms, choose any fandom that is used in this batch–you can change this field as needed later. Use the “Import” button at the bottom of the page. On the next page will be links to all the drafts you have created. Right-click on the first one to open the draft in a new tab. Use the “Edit” button in the lower right-hand corner. From this page, you can individually edit the work’s tags however you would like. In the Associations section of this edit page is a box labeled Post to Collections/Challenges. Type the Archive’s AO3 Collection name here to add it to the Collection. If desired, you can use the Set a different publication date field to backdate your work. In the lower right-hand corner of the page, use the “Post Without Preview” button.